The Vucciria (deriving from Bucceria) originates from the French “Boucherie” which means butcher. 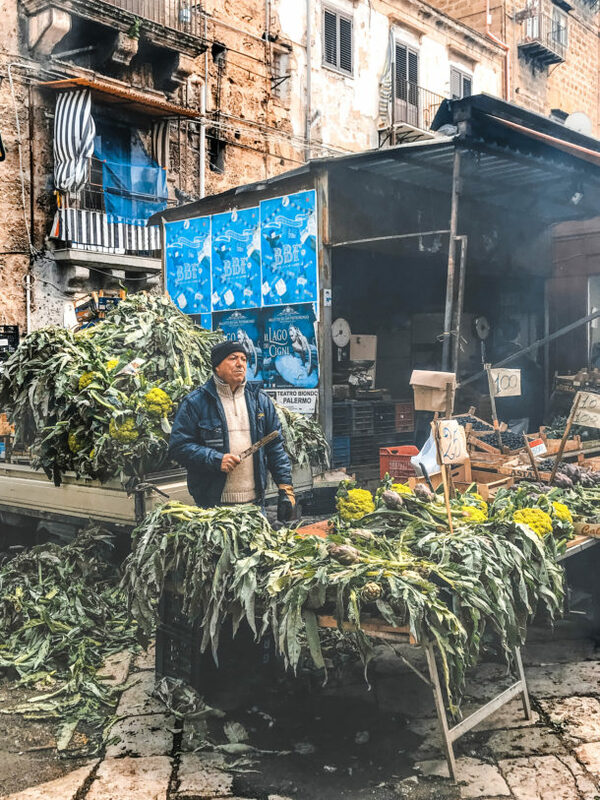 In the local dialect the Bucceria, was transformed in “Vucciria”, which in Sicilian took the meaning of confusion; in fact it was used among the sellers the “abbanniata” (shout loud and chanting), to attract the attention of the visitors. But the winners are – IMHO- the arancini (crunchy fried rice balls stuffed with minced meat and peas), the most obvious legacy of 10th century Arab rule in Sicily. If you have a sweet tooth, you can’t miss the Cassata, which is one of the symbols of Sicily together with cannoli, granita or the brioches col gelato (with icecream). Pistachio will drive you nuts! Cassata is an elaborate dessert made with sponge cake (called “pan di Spagna” in Italian) moistened with liqueur and layered with ricotta cheese, covered with marzipan or almond paste and decorated with candied fruits and royal icing. A calorie bomb for sure! But my favourite above all are cannoli: tube-shaped shells of fried pastry dough, filled with sweet, creamy, fresh ricotta cheese with pistachio granola. Yummy! Pistachio is called the “green gold”, if you taste it you’ll agree for sure. 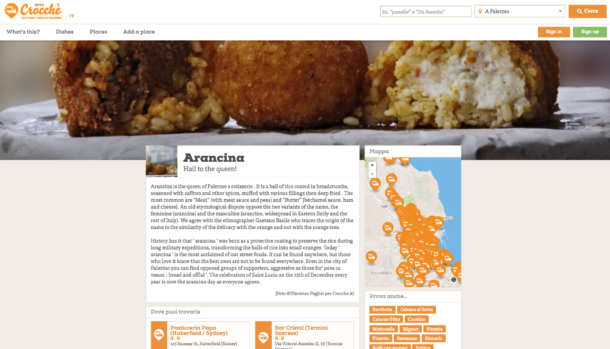 Where to eat the best Arancini in Palermo? Find the most mouth-watering street food places! 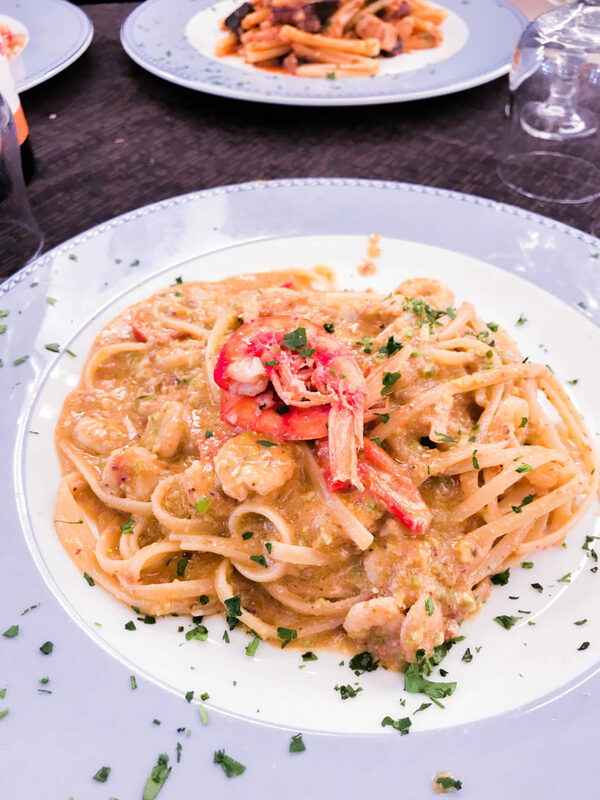 Crocchè.it is dedicated to Palermo street food heritage. 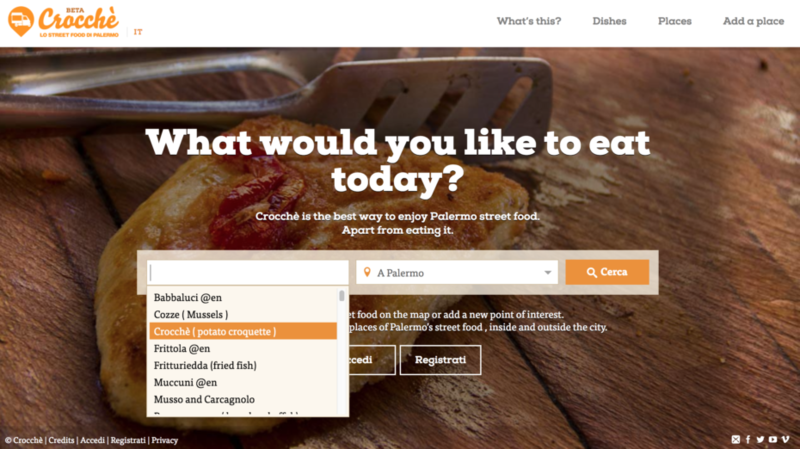 Search on the “Crocchè map” to find your favourite street food places. “It is not a guide, it is a collection of advices”. The Sicilian street food is so famous that Crocchè map includes spot from all over the world such as Japan, US, Australia,… mostly from Sicilian migrants who wanted to export what they are really good at and what’s in their DNA: making good food. 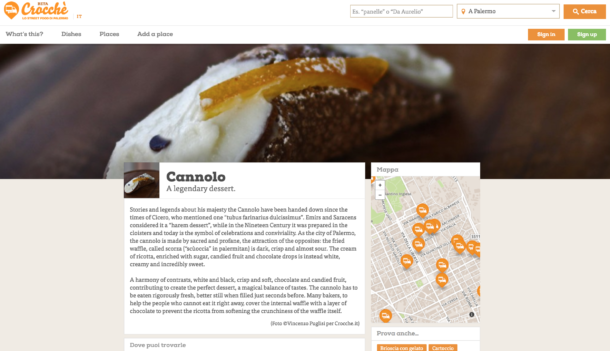 SmartEating helps you discover the tasty world of food in Palermo. It takes advantage of the geolocation technologies and augmented reality, customizing individual user research from its geographical position and making fun and engaging the research. 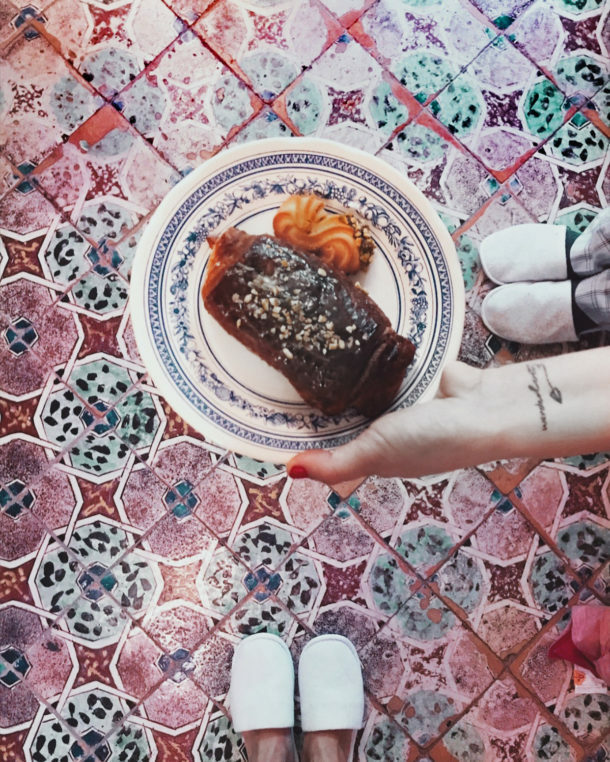 Which sicilian street food is your favourite? Do you have any special place to eat it? Want to view the full video of my Palermo get away, click here. If you are interested to immerse yourself in the atmosphere you can breath in Palermo (besides the smell of frying!) take a street tour, you won’t regret it. Find some good reasons why in the Street art tours post. 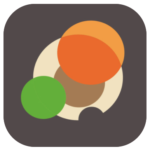 Filed under app, food, technology, travelnotes. Tagged blog, food, localcusine, palermo, streetfood.